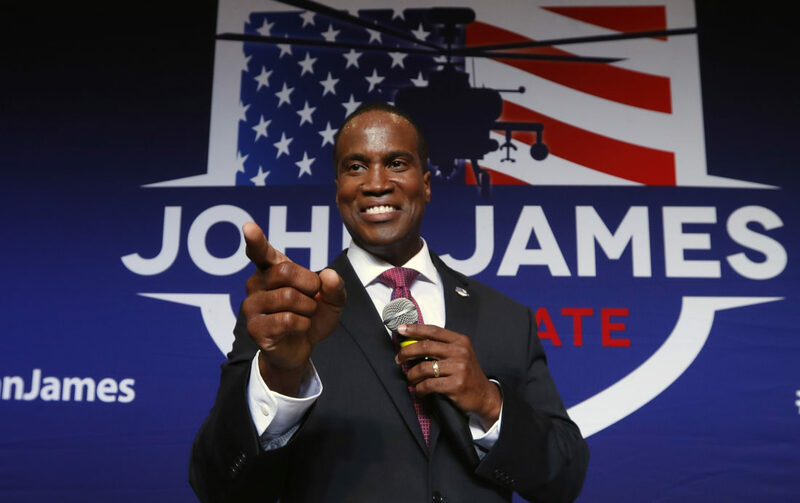 DETROIT — Michigan businessman John James, a black Iraq War veteran who was endorsed by President Donald Trump, won the Republican nomination Tuesday and will take on Democratic Sen. Debbie Stabenow this fall. James, 37, of Farmington Hills, has been highlighting his business credentials and military service. The West Point graduate flew Apache helicopters in combat and led two platoons during the Iraq War. After being honorably discharged, he joined his father’s Detroit-based group of companies: James Group International Inc. He is CEO of Renaissance Global Logistics, which ships supplier parts to auto factories around the world.